MHARF Geld ’Em Bumper Stickers! Our popular “Geld ‘Em” bumper stickers are back! 11.5″ x 3.75″ stickers are great for cars, trucks, trailers and more. Ordering is easy with the button below! Use the drop down menu for quantity discounts. Payment can be made by PayPal or Credit Card. Prices include shipping! If you want to order stickers and pay by check, please Contact Us Here for instructions. Shop with Full Stride Leadership! MHARF is proud to be a non-profit partner of Full Stride Leadership’s Great Save Program! Shop with Never Knock Goods! MHARF is Proud to be a Non-Profit Partner to Never Knock Goods! 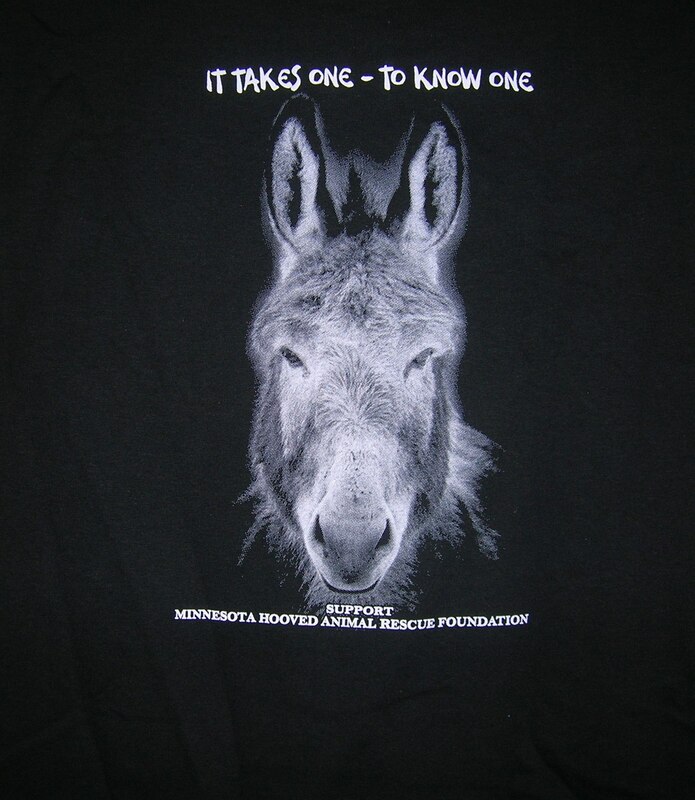 “It Takes One to Know One” Tees! 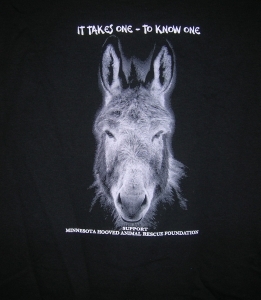 Our donkey t-shirts are back in stock! 100% cotton black unisex t-shirts available. $30.00 each includes free shipping! If you prefer to order and pay by check, please Contact Us Here and we will be happy to help you out! To Order Here Please Use Drop Down Menu to Indicate Size. Size Small through 3X are available! 2019 MHARF Calendars will be available 09/04/18. You can order online using PayPal or Credit Card using the BUY NOW link below. FREE SHIPPING on all orders! If you would prefer to pay by check, or would like to order larger quantities, please Contact Us (Please don’t send calendar order checks to the MHARF PO Box address. Using the Contact Us link for ordering instructions will ensure you receive your calendar much more quickly). Thank you! Full-color twelve month calendars with spiral binding (easy to hang!). Calendars are full of photos and stories of horses who have come through our program. 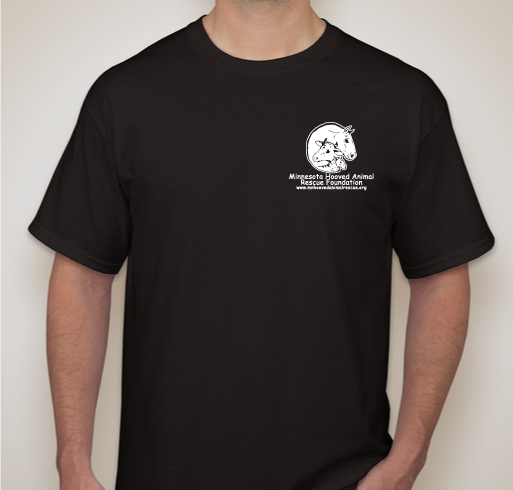 All proceeds go directly back to MHARF! Support MHARF by bidding on our ebay items! See what MHARF has for sale on ebay! MHARF has a booth at the Gateway Antique Mall in Rogers, MN. Our booth number is XYZ and we have a nice selection of antique, vintage and collectable equine-themed items and other things!